The Last Golden Season of Army Football, Mark Beech, Thomas Dunne Books/St. Martins Press. Army has experienced precious little success on the gridiron in the past four decades. But there was a time when the United States Military Academy presented one of the nation’s preeminent football programs and competed for the national championship on an annual basis. In fact, Black Knights football was once so vital that General Douglas MacArthur had plans drawn up for a hundred-thousand-seat football stadium – at West Point. In “When Saturday Mattered Most,” Sports Illustrated writer and second-generation West Point graduate Mark Beech chronicles Army’s 1958 season, the last undefeated season posted by either Army or Navy. (Army finished 8-0-1 and outscored its opposition 264-49, including a 22-6 victory over Navy.) It was the end of an era – one presided over by Earl “Red” Blaik, who won or tied more than eighty percent of the games he coached at West Point. Equally notable is that twenty-two of his assistants (including Vince Lombardi) went on to become head coaches at either the collegiate or professional level. Yet Blaik’s program had nearly come undone in 1951, when a cheating scandal at the Academy resulting in the expulsion of thirty-seven varsity football players, crippling the Army program for several years. Beech explains how Blaik brought the program back to life, and in 1958 introduced the “Lonely End” offensive scheme, which flummoxed opponents and captivated the nation. The author also relates what happened to the members of the ’58 team post-graduation, and itemizes the factors that have contributed to Army’s lack of success since 1970. To be sure, “When Saturday Mattered Most” is a book with a limited audience; it’s aimed at readers with an interest in college football history – and West Point. But it’s a vivid reminder of how college football has changed in the decades since Blaik walked away from the game, and why Army is unlikely to return to football prominence in the forseeable future. That Used To Be Us—How America Fell Behind in the World it Invented and How We Can Come Back. 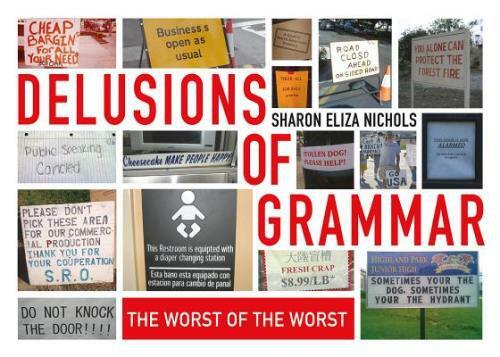 Delusions of Grammar—The Worst of the Worst, Sharon Eliza Nichols, St. Martin’s Griffin.